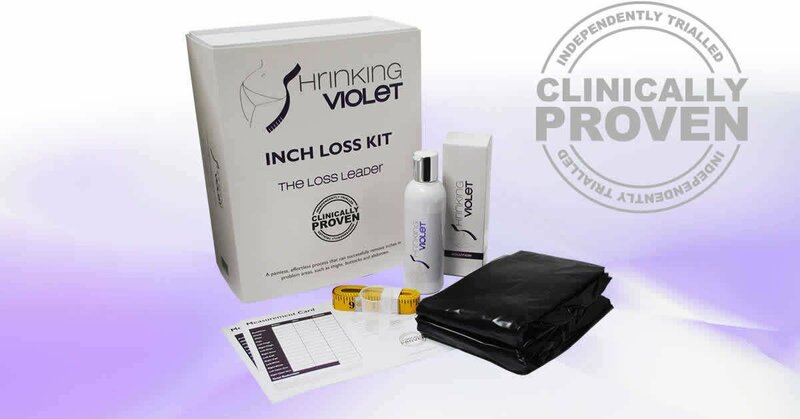 A painless, effortless process that can successfully remove inches in problem areas such as thighs, buttocks and abdomen. salons and spas across the UK. "Fantastic product and very easy to use. I lost 8.5 inches with my first use!" "Great service from delivery to the very nicely packaged item. The product is fab too, on first use I lost a total of 6 inches all over! Have recommended to my friends and family!" "I lost 4" off my midriff and waist after the initial hour. The next day my clothes were looser and my body appeared more toned. Extremely happy with the results." The best way to get optimum results! Shrinking Violet works best by heat transfer so we recommend to shake the product well before use. Pour some in a warm bath and once you are dry, but still warm from the bath, then re-apply the 25ml to the whole body, massaging in very well - start applying slimming solution from your chin down to your ankles and massage in well everywhere - it works better as a full body system. Then put on the suit. We suggest to lie in bed under the quilt or watch TV under a duvet for an hour, take suit off and massage any residue into the skin. A good time to do this is around 7pm, as you could stay in bed and watch TV afterwards, keeping warm. Shower lightly the morning after. We advise not to have over indulged on food or alcohol before you give yourself the treatment, so your liver is not already over processing. No heavy meals or alcohol the night before and eat a light macrobiotic diet on the day, limit caffeine and again no alcohol.